Soufriere, St. Lucia | Tours & Things To Do | One of the best and safest towns on the Island of St. Lucia, offering great proximity to the Pitons, Diamond Falls, and Tet Paul. Home to the Pitons, a World Heritage site, Soufriere offers unbeatable landscapes and culture. 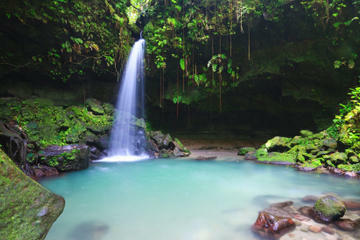 Located only about 45 minutes from St. Lucia's Hewanorra International Airport is a beautiful town called Soufriere. Once the capital of the island of St. Lucia, Soufriere offers a bevy of things for travelers to do and see. The surrounding landscape is little short of breathtaking: the sky-scraping towers of rock known as the Pitons stand guard over the town. Of course it’s not all about major attractions. 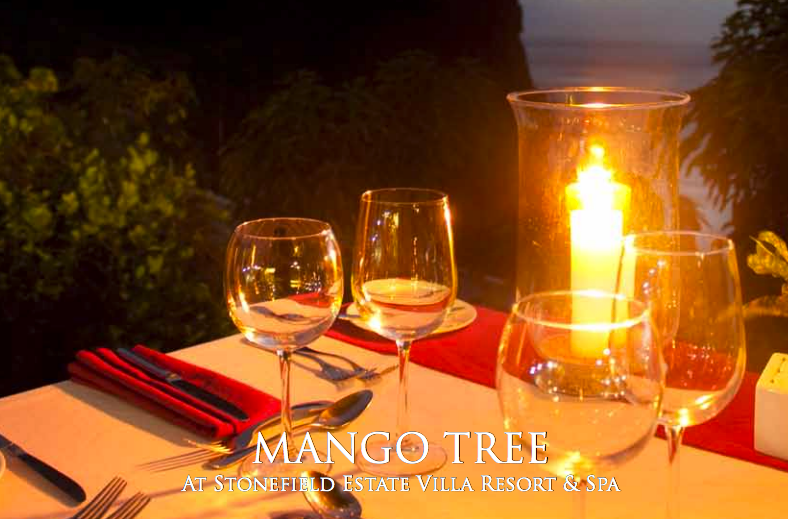 There are breathtaking rental villas with views of sights like the majestic pitons as well as world-class dining options. Best of all, when you stay in Soufriere, the best of St. Lucia is only a short ride away. Soufriere certainly isn't short on things to see and do. Whether you are looking for thrills and adventure, a bit of history, or to see nature in all her splendor, Soufriere doesn't disappoint. Commune with nature at the botanical gardens, soar high above the rainforest on a zipline, or climb the majestic Pitons. Your adventure is up to you- we are simply here to make it possible. If you are looking for something relaxing and a bit out of the ordinary, Mount Soufriere is perfect for you. Known around the globe as the world's only drive-in volcano, Mount Soufriere features dazzling waterfalls and mineral infused waters where you can take a dip and let the mud soak your cares away. Don't worry, there's a shower so you can rinse off after. 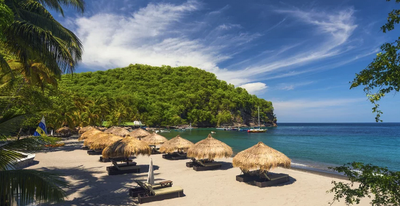 Even if you decide not to take a dip in the medicinal mud baths, you will find that Mount Soufriere offers splendid views of the ocean, the Piton Mountains, and the canopy of the local jungle. It's definitely a sight you won't want to miss. Napoleon had baths built for his soldiers! If you are looking to commune with nature and see some of the local flora and fauna, then a trip to Diamond Falls Botanical Gardens is right up your alley. Once again there are relaxing mineral baths, but the gardens also offer beautiful paths lined with gorgeous flowers and towering trees as well as the beautiful Diamond Falls waterfall. Best of all, it's all located within minutes of your villa. If adventure is more your thing, you may wish to consider a hike up one of the Piton Mountains. 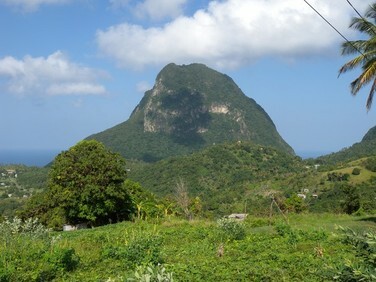 Gros Piton is by far the easier climb, and the view from the summit is unlike anything you have ever experienced before. If you do decide to climb the Pitons, be sure to bring along one of our native guides, who can not only ensure that you reach the top safely, but who can also point out interesting flora and fauna as well as historical sites along the way. For adventurers who want a scenic hike but don't want the strenuous activity of climbing the Pitons, there is no better adventure than the Tet Paul Scenic Trail. 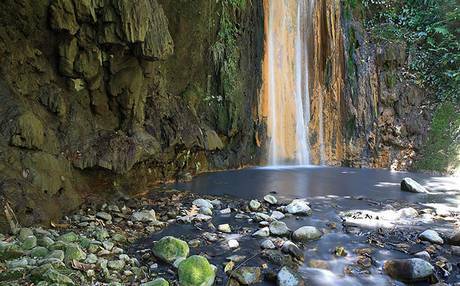 Located right in Soufriere, the Tet Paul Nature Trail offers amazing views and is a fairly short hike. You will likely get the chance to chat with some of the island's locals and may even get the opportunity to taste locally grown fruit. Jalousie Plantation (now Sugar Beach) occupies one of the most stunning locations in the world. Anse Chastanet Marine reserve is known for excellent scuba diving and snorkeling. 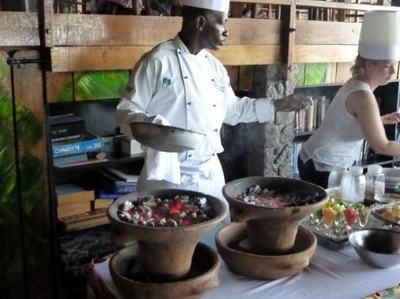 While the sights, culture, and people of St. Lucia are enough to keep people coming back year after year, the food is certainly worth writing home about as well. Soufriere is home to many delectable restaurants that are certain to leave your taste buds tantalized and your stomach feeling sated. 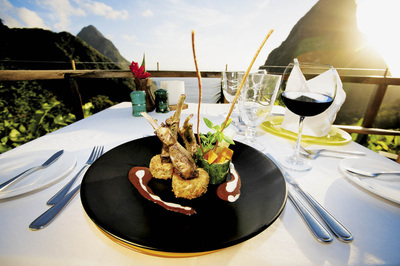 Located at Ladera Resort, only a short trip from your villa, is Dasheene Restaurant. 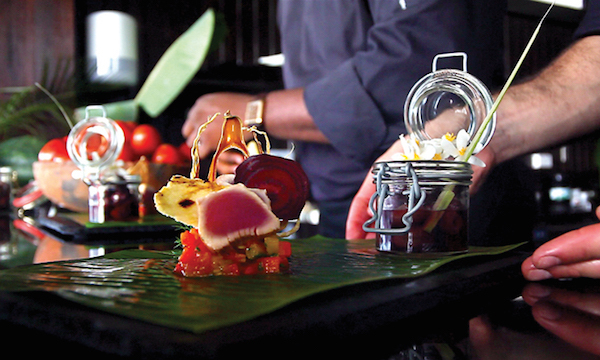 The restaurant is quickly building a reputation around the world for its unparalleled Caribbean cuisine. There is fresh seafood and a bevy of local fruits and veggies, and for the wine lovers out there, Dasheene also offers an incredibly extensive wine list. If you are willing to make the very short drive to Anse Chastanet, you can have the opportunity to literally dine in an open-air treehouse. The Treehouse Restaurant is as unique in its food offerings as it is in its architecture, and every day offers a brand new menu, making it great for multiple visits. If dining on the beach sounds like a better fit for you, why not consider the Bayside Restaurant and Bar. Nestled on Sugar Beach, one of the island's most beautiful destinations, Bayside offers not only three meals a day, but a relaxed bar area that serves drinks and light fare while offering guests the chance to relax in one of the bar's many hammocks. 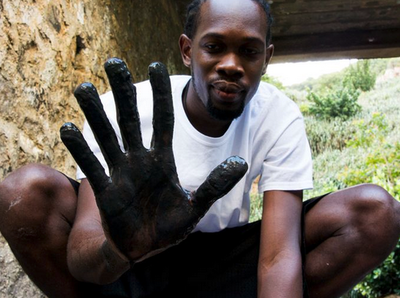 ​"It was a toss up of where to stay in Soufriere or Rodney Bay. We are so glad we decided on Janus’s lovely apartment here in Soufriere"
​" The views of Soufriere are beautiful. Just seat back relax and enjoy."